IF Leo Isaac could only turn back time and start all over in Blackwater’s maiden campaign in the PBA, his wish is just one and simple – no opening day game against fellow expansion franchise KIA Motors. After capping the team’s campaign in the Philippine Cup on Tuesday with a 91-62 rout at the hands of top seed san Miguel Beer for the Elite’s 11th straight loss, Isaac admitted the 80-66 setback against the Sorento during the October 19 opener at the Philippine Arena, had a great impact on their performance the rest of the way. Blackwater and KIA tangled in a pre-season game on October 4 in Binan, Laguna where the Elite beat the Sorento convincingly, 88-77. “Sana iba na lang ang nakalaban namin,” Isaac added. The Elite had a lot of opportunity to redeem themselves following the loss to the Sorento in a game that saw them lose grip of a 14-point lead. But deep inside, Isaac somehow knew the confidence of his team has somehow been eroded. “Going into our first four games of the season, okay pa kami. But I was really afraid that frustration will set in. 'Yun ang iniiwasan ko,” said the former Barangay Ginebra point guard during the team’s heydays under popular playing-coach Robert Jaworski Sr. The Elite went on and lost all of their remaining games, ending their campaign in the All-Filipino conference at 0-11 as they became the first team to end a conference winless since Shopinas registered a 0-14 slate in the 2011 Philippine Cup for the all-time record for consecutive games lost in a single conference. Isaac said definitely a thorough team evaluation is forthcoming as Blackwater eyes redemption in the mid-season Commissioner’s Cup where the Elite will have no less than Asean Basketball League (ABL) Best Import Chris Charles to reinforce them. 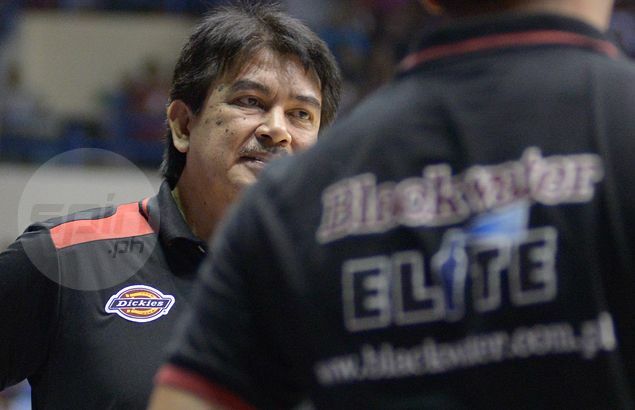 The Blackwater coach believed a breakthrough win could have turned the fortunes of the Elite around during the Philippine Cup, which is what they will try to do in the second conference. “There’s one thing na gusto kong mangyari before sa team. I told the players that we want to see yourselves celebrating inside the dugout after a win. We just need to win one game and I want to see you celebrating and that could change things for us, “ he said.